Mark’s cancer has returned and this time he has had enough of the treatments, the sympathy and the tears. He decides he is going to run away to the mountains to escape it all. He takes along his loyal four legged friend, Beau the dog, for the adventure. Beau is the star of the book; with undying loyalty and companionship he doesn’t leave Beau’s side. Along the way he teaches Mark about love and kindness, and what is important in life. This book is written in alternating first person, switching between Mark’s perspective and then his best friend Jess’s side of the story.The book is interspersed with haiku poems that Mark writes throughout his adventures. Jess had worked out where Mark was running away to and I questioned her decision of keeping Mark’s secret as his frantic family and the police were searching the country for him. Was she doing the right thing by honouring his friendship? Or should she have spoken up to help her sick friend? 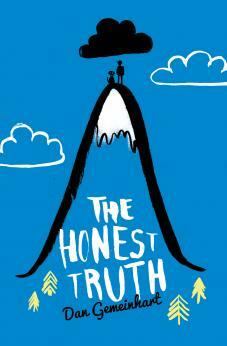 The Honest Truth is a quick read about love, friendship, adventure, death and dying. Suspenseful and moving at the same time, this story will stick with you for some time after you finish it. Recommended for upper primary and middle school students and for younger readers who are interested in reading ‘The Fault in our Stars’.